The end of the world is finally here. And it will be nothing like what you’d expect. All over the earth, strange and horrific events begin to unfold. 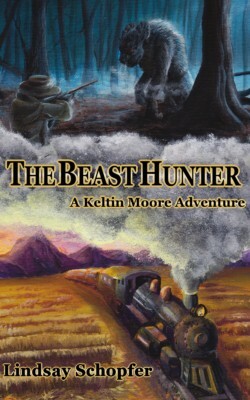 A US combat team in Iraq comes under attack from mystical forces, an anthropology professor has an eerie encounter at Stonehenge, a runaway teen finds a very strange pet in Arizona, a young orphan in Siberia meets a terrifying old woman, and a pair of NYPD detectives discovers the ghastly doings of a supernatural cult. A large and diverse group of characters struggle to survive as civilization begins to collapse all around them. As each one realizes their true potential, every one of them must go through a personal, danger-filled journey in order to turn back the sweeping tide of chaos and destruction that threatens the entire world as we know it. In the far future, two major factions are locked in a galactic cold war. As tensions mount between the technocratic Union and the genome-harnessing Concordance, both sides anxiously watch for a chance to conquer the other. 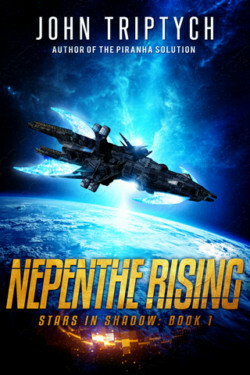 The Nepenthe is a pirate vessel, loyal to neither. Led by the enigmatic Captain Dangard, her rough and ready crew includes the cat-like alien Commander Creull, Zeno the immortal synthetic, the dashing Garrett Strand, and Duncan Hauk, a promising young recruit. Hired by a cryptic employer, the crew waylays a transport ship carrying a mysterious passenger. In due time, this incident sparks the beginnings of an interstellar conflict that could threaten the state of known space. Somehow the past never remains in the past. The bygone truths that await Jack Sullivan are of the kind that should be kept secret from a teenager, but life has something else in mind: an entity that is wicked with such old rage that it must quench its sinister thirst for power. And for Jack, well he has a secret of his own developing. As he graduates from high school, Jack discovers that the “real world” is full of unreal forces, strange powers, and a nasty old battle that rages around him. And as if falling in love for the first time is not complicated enough, Jack is forced to leave home and trust strangers to survive this ordeal. The dark forces will stop at nothing to get to Jack, for what he holds is of great value to them. Jack has power of his own, and now he must learn to wield it, to fight and end this old feud one last time. Especially when things get out of hand very fast. 6 novels and 2 novellas of romance, adventure, and enchantment. Trickster fae, dark elves, mercurial heroes, southwestern witches, shifters, draghans, vampires, & the devil himself all get their due. This is an exclusive, limited-time collection — download it today!